Meet the Alter sisters - Lady, Vee, and Delph - three delightfully witty, complicated women who live together in their family's apartment on the Upper West Side. Though they love each other fiercely, being an Alter isn't easy. Bad luck is in their genes, passed down through the generations. But no matter what curves life throws at these siblings, they always have a wisecrackand each other. Now, in the waning days of 1999, as the century comes to an end, Lady, Vee, and Delph decide that their time is up, too. First, they must write a note: a mesmerizing accounting of their lives that stretches back decades, to the brilliant scientist - their great grandfather - whose sinister legacy has defined them. Smart, heartbreaking, and completely original, Reunion of Ghosts is an epic story of three unforgettable women and one exceptional family, and a magnificent saga of the twentieth century itself. One of Mitchell's conceits is to counterbalance the depressing aspects of her situations with just enough humor to avoid sounding maudlin. One of the most cleverly told stories I've come across in a very long time, despite the fact that some of the eras and subjects discussed are practically dramatic clichés. (Reviewed by Davida Chazan). For the Alter sisters, living with the guilt of the generations, there is only one way out… This novel is a carefully crafted, thought-provoking examination of history past and present as seen through the eyes of a complex yet humble family. Starred Review. 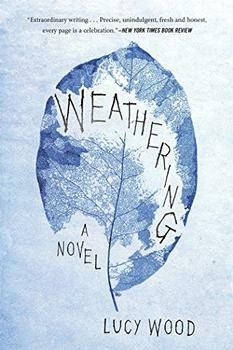 Moving nimbly through time and balancing her weightier themes with the sharply funny, fiercely unsentimental perspectives of her three protagonists - each distinct, yet also, as their name suggests, at "different stages ofa single life" - Mitchell's fictional suicide note is poignant and pulsing with life force. Starred Review. For the Alters, life has been a seemingly endless series of tragedies; for us, the tragedy is that this stunning novel inevitably comes to an end. This is a triumphant, beautiful, and devastating novel about coincidences, family, and the sins of our fathers. Judith Claire Mitchell understands what's at the marrow of our funny bones: that humor lives in darkness, that our families are our curses and our blessings, that great pain can beget great warmth and love. A rich portrait of a complicated family, at turns violent and hilarious, shot through with love and death and the scars that reappear generation after generation. 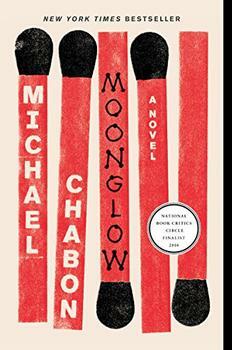 Following on the heels of his New York Times bestselling novel Telegraph Avenue, Pulitzer Prize-winning author Michael Chabon delivers another literary masterpiece: a novel of truth and lies, family legends, and existential adventure - and the forces that work to destroy us.